Search Engine Marketing (SEM) is one of the immediate way of driving traffic to your website through an online advertising channel commonly known as 'pay per click' (PPC) advertising. We focused mainly on using Google Ads Advertising system. Your ads will be seen by customers the moment they are searching on Google for the things you offer. 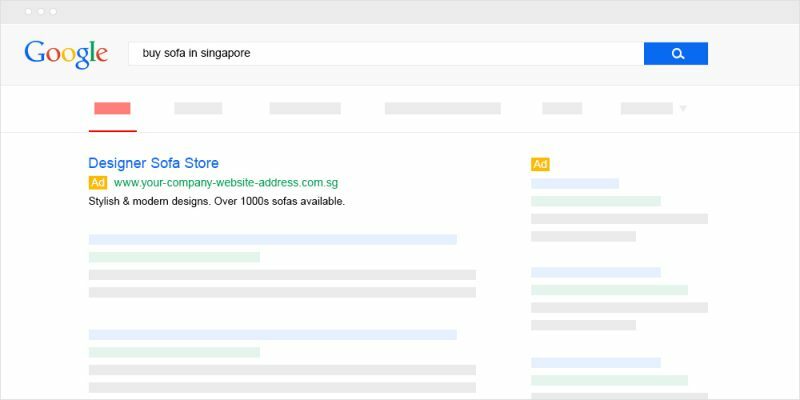 Google Ads will appear as Sponsored Ads in positions above and beside the search results organic listings. Google Ads can be geographically targeted and your budget is spent only when someone clicks on your ad. This is a cost-effective online advertising tool to drive instant traffic to your website. Above1 SEM AdWords professionals will setup, manage and optimize your SEM AdWords campaign on your behalf to make sure your money is not being wasted on poor quality traffic. Our SEM AdWords professionals strive to deliver successful cost-effective SEM PPC campaigns. We use a variety of tools and techniques to help our clients build their customer leads, increase conversions, clicks, impressions and click-thru-rates (CTR). Why Search Engine Marketing (SEM)/ PPC? Contact us now to find out how our SEM PPC Google Ads packages can help your business get immediate leads and enquires.